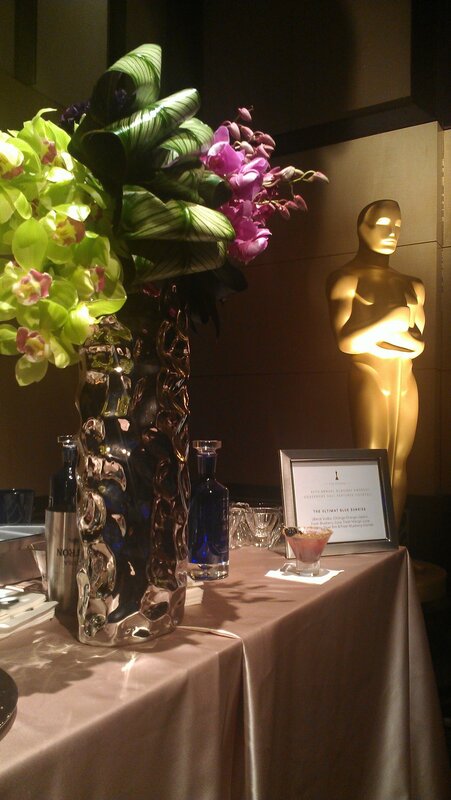 February | 2013 | Watanabe Floral Inc.
Who watched the Oscars on Sunday night? Confession: I didn’t. I just watched the high-lights and heard about some key moments here and there. So I’m counting on all of you to chime in with your favorite moments. We, of course, noticed the flowers. You don’t really think about the flowers at an event like this where the focus is on the stars and what they’re wearing. 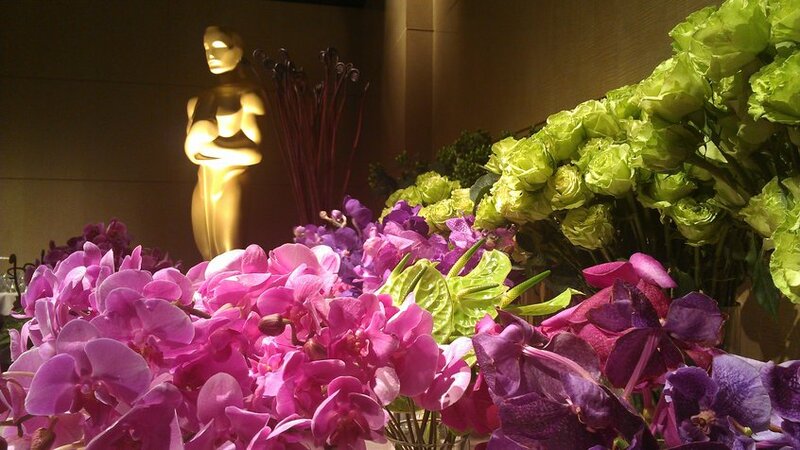 But the flowers definitely added that glamor that the Academy Awards is known for. What flowers did you notice at the Oscars? Be it on gowns or in arrangements! Comment below, post on facebook, or tweet #academyflowers (and don’t forget to tag us)! Easter is a few weeks away, but we are starting the festivities NOW! We are holding a coloring contest for children- and what child (even with the help of Mom) doesn’t LOVE to color? And not only does your kid get to color, but, if your kid is a lucky winner, the whole family will get to enjoy some really fun prizes. Theme: What Does Easter Mean to You? 1. Picture should be standard 8.5”x11” paper size and illustrate the above theme. 3. Prizes from Wet N Wild, Jungle River Fun, Ice Palace, Consolidated Theatre’s Hawaii, and Rascal’s Family Fun to be awarded to winners of all 3 categories! 6. Winners and prizes will be presented at the Easter Egg Hunt on March 23! PLUS every contestant will receive a 50% off admission to Wet n Wild, just for entering!! As soon as your little guy or gal gets her picture drawn, make sure to bring it by or send it in before March 21st! Everyone is a winner! Let’s get our Easter on!!! Check out our board on pinterest http://pinterest.com/watanabefloral/easter/ for more Easter Ideas! Follow Us!!!! February is almost over and we’ve been BUSY! Make sure that you check out our events page at http://www.watanabefloral.com/events/ to see what’s up and coming! What Women Want…an age-old question. Type it into Google and you’ll find the Mel Gibson/ Helen Hunt movie, some trashy articles written by single men, and even some books on the psyche of women. Wow. With Valentine’s Day around the corner, there have got to be atleast a handful of men out there scratching their heads. How do I make her happy? While we don’t profess or even come close to having all the answers, we are in the business of making educated guesses when it comes to feelings. These women want to feel validated and loved. No shocker there. Others want to be SuperWoman: the perfectly clean house, the perfectly behaved child, the perfectly happy marriage. They want to feel appreciated for all the hard work that they do. And let’s face it, it’s not easy being a woman. Love, respect, and communication. Easy peasy. Chocolate. And lots of it. And the list could go on forever. While that may be the easy answer for some guys, we would suggest that according to our overwhelming (and shockingly fast) responses by these women, that women do indeed know exactly what they want. Did anybody catch the common thread in all these answers? Here’s our educated guess. While every woman is totally different in her tastes and likes and dislikes, ALL women really want essentially the same thing: to be noticed and adored for being exactly who she is. The house will never be (or more importantly STAY) perfectly clean. Children will have their bad days. Marriages…well, they have bad days too. Women can’t do it all. So let her put her SuperWoman get-up away for a day. It won’t be the gift or the flowers or the chocolates that matter come Valentine’s Day. But the gift and the flowers and the chocolates (or whatever gesture you boys decide to make) will let your girls know that you notice her. And that you adore her for who she is. It’s a win-win situation. Really. Show some L.O.V.E. this Valentine’s Day!